Pipette.com carries a broad selection of Thermocyclers to meet your specific nucleic acid amplification needs. Thermocyclers, also referred to as thermal cyclers, are heating cycler units that are utilized primarily for the amplification of RNA and DNA samples by a reaction known as polymerase chain reaction, or PCR. Thermocyclers achieve this through the process of raising and lowering the temperature of the samples, which are placed in a heating block platform. This heating and cooling process is regulated tightly and accurately to exact, pre-programmed parameters that define the temperatures used, the length of each cycle and the number of cycles. Via this process, nucleic acid samples are denatured and annealed within their individual sample tubes or wells with a mix of nucleic acids and reagents, including the enzyme polymerase. Amplifying nucleic acid is a prerequisite for most genetic applications and tests such as expression analysis, cloning, sequencing and genotyping of biological samples. 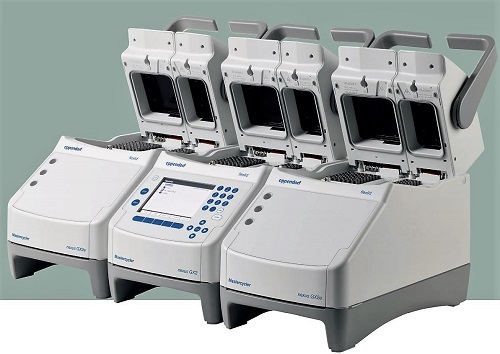 Standard Thermocyclers often are supplied with different block options, each of which can hold different formats of multi-well plates, tube strips or individual PCR tubes, and have a variety of setting and pre-programming options to meet various needs and applications. Real-time themocyclers, ideal for real-time, quantitative or "q" PCR, SNP analysis, drug target validation or genotyping. In order to identify the perfect Thermal cycler for your lab, you must first consider what you will be using the thermal cycler for. What sort of reactions and applications will you be using the unit for? Will it be primarily one reaction type of multiple different applications? What sort of throughput will you need? What sort of consumables will you need to use with your instrument? Will you require extremely high and accurate temperature ramp rates? 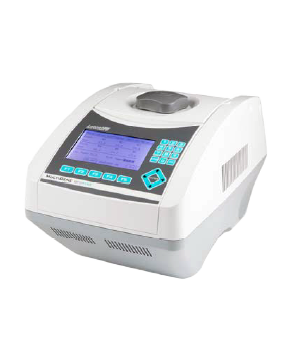 Temperature gradient options are often available in Thermocyclers which allow the user to set up a range of temperatures across the one block in a particular program. This can be particularly handy when optimizing PCR reactions, such as optimizing primer annealing temperatures, for smaller or more valuable samples where you cannot afford to waste a single drop. You may also require space-saving Thermocyclers with a small footprint if you are short of space in your lab, or you may need a touch-screen interface, computer or wifi network connectivity, remote control of the unit, etc. 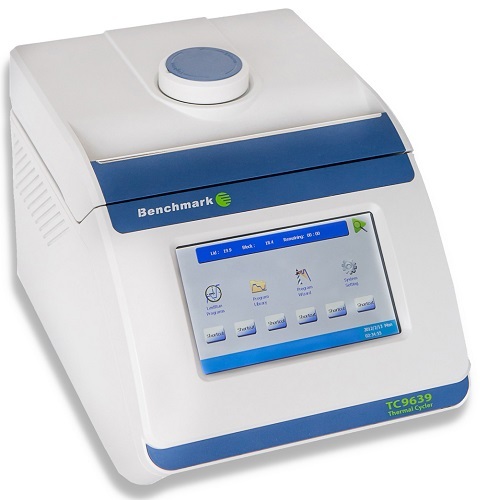 Gradient Thermocycler with large, touch-screen user interface and unique, multi-format block. 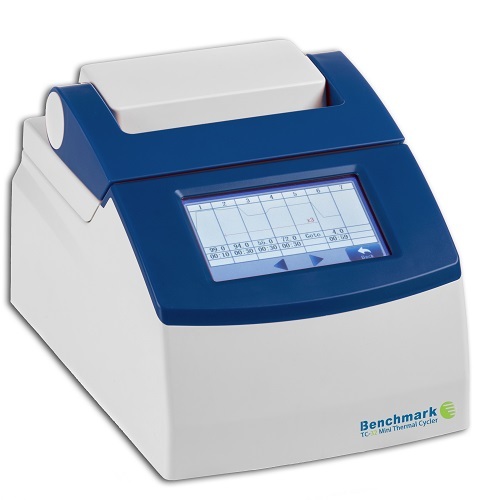 TC-32 Mini Thermal Cycler has a capacity for 32 x 0.2mL PCR tubes, arranged in a 4 x 8 format.